The US Coast Guard was searching for a crew member of the "Majesty of the Seas" in the Atlantic Ocean off Florida on Jan 24, 2019. The crew alerted the authorities in the early morning that a 26-year-old crewmember had gone overboard when the ship was about 40 miles east of Hillsboro Inlet. The fall was seen by fellow crew members around 2:35 a.m. At 6:43 a.m., the Coast Guard advised the ship that they would be assuming control of the search. The cruise ship was then released from the search and able to continue to Port Everglades The Coast Guard Cutter "Paul Clark (WPC-1106)", a Coast Guard Air Station Miami MH-65 Dolphin helicopter and an Air Station Miami HC-144 Ocean Sentry airplane participated in the search. 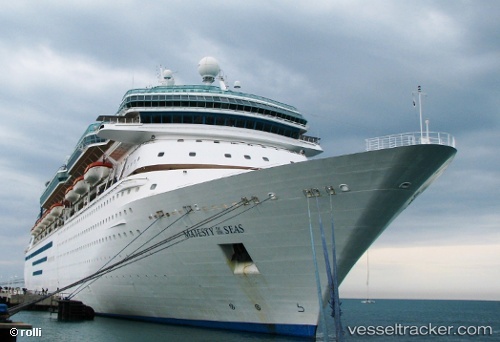 The Coast Guard suspended its search on Jan 25 around 3 p.m.
Royal Caribbean International is expanding its sailings to Cuba in summer 2018 with Majesty of the Seas and Empress of the Seas sailing to the island nation. Cuba’s historic cities of Havana, Santiago and Cienfuegos will be included in the destinations on a variety of four- to eight-night sailings on Empress of the Seas. “Cuba is such an important part of Caribbean culture, and we can’t wait to call on Santiago de Cuba and Cienfuegos next year, showcasing even more of the country’s scenic beauty, rich history and distinctive architecture,” said Michael Bayley, president and CEO, Royal Caribbean International.